With the release of Mangal Pandey: The Rising, Ketan Mehta's historical epic exploring India's First War of Independence in 1857, it's rewind time for Bollywood. The most consistent aspect of A R Rahman's music is its gradual appreciation. An Aamir Khan film is special. Aamir Khan is a rabble-rouser. It´s painful watching great opportunities being thrown away. 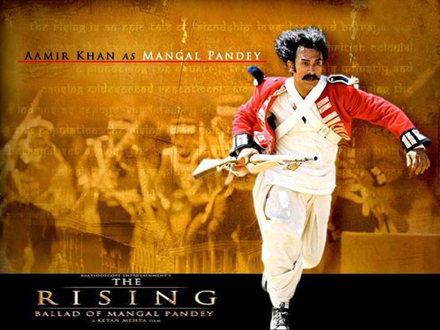 "Mangal Pandey", with its stellar cast, crew, budget, and platform had just about everything going for it - almost.